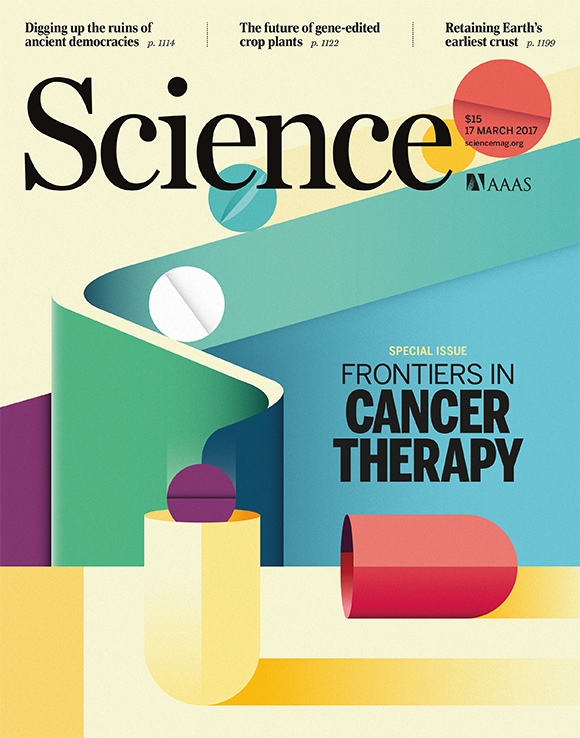 Science Magazine, one of the most reputable academic publications in the world, has just released a special issue focusing on cancer therapy. To illustrate such a sensitive and far-reaching subject, Science was on the lookout for an artist capable of conveying the conceptual background of the results as well as the positive scenario that they presented in the magazine and Ray Oranges was their choice. 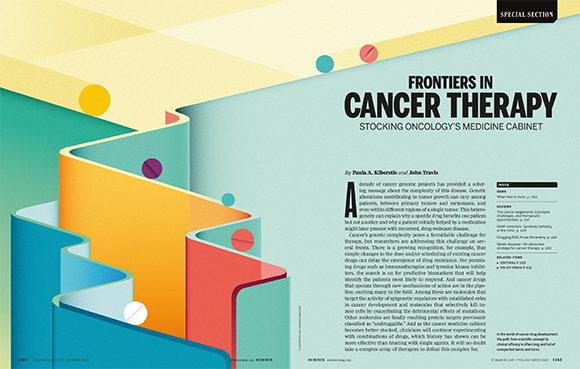 The overall purpose of the issue was to feature some of the exciting new (or “newly reborn”) therapies that perhaps have not received as much attention as they should because the cancer research field is intensely focused on immunotherapy. Researchers believe that five of these new-found therapies could then be combined into the perfect “drug cocktail”.